Located on the steep 45 degree Southern slopes of Peljesac Peninsula known for its big reds, Bura vineyards produce the most unique, delicious and prestigious wine to ever come out of the Dalmatian Coast. As much as there is talk about all the different wineries and winemakers in Croatia, no other winemaker stands out more than Niko Bura and his sacred Bura Dingač. Niko Bura’s vineyards are fully organic and are the truest expression of the microclimate and land of Croatia’s southern Dalmatian coast. The Bura family has a one of the longest traditions of winemaking in Dingač, spanning over five generations. Typical bottle production of Bura Dingač is very limited (between 1,400 to 2,500 bottles, depending upon the year) and that is why every bottle opening should be treated as a special occasion. 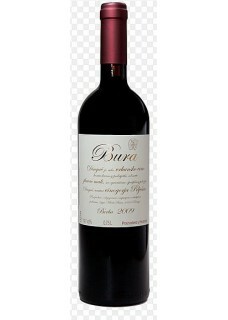 Made from slightly raisined grapes and vinified in native yeasts, Bura is a masculine wine of high extract and up to 15% alcohol, with intense black fruit on the nose, along with pine, salinity, black tea, mediterranean scrub and a note of dry hay.